One of the most popular questions I get from readers is about the physical process of moving abroad. What does moving internationally involve? Is there a lot of paperwork and bureaucratic misery? Do you need to register as a resident and / or a taxpayer at your new destination? First, let me say that it really depends on your individual status, and where you want to go. Every country is different, and it’s up to you to do your own research. I’m not an immigration consultant or lawyer. But what I can do is share my own experience. That’ll give you a sense of how the whole thing works, and where you might want to start. If you read my first column in this series, you’ll know that I relocated from Canada to Malta, which is a tiny island in the central Mediterranean. Go back and read that one if you want to know what brought me here (…it was pretty much random). In this column I want to focus on practicalities. The process of relocating was actually quite easy. Sure, there are paperwork hoops to jump through, but it only takes a little research to sort it all out. The first challenge you’ll encounter is searching for a place to live from another country or continent. This becomes especially interesting if you’ve never been to the place you want to move…How do you know which town or neighbourhood you want to live in? And how do you know which towns to completely avoid? I found expat forums to be a good source of “on the ground” information in this regard. But you really need to read between the lines if you want to make this work. It isn’t enough to just read about the different villages or areas of a city. You’ll want to match that information to your own preferences too. For example, I knew straight away that I didn’t want to live anywhere near Malta’s Paceville bar district. Thumping bass noise drives me nuts. And who wants to walk past puddles of puke every time you go out for dinner? I also wanted to avoid major expat centres like St. Julian, Sliema or St. Paul’s Bay. They’re just too busy and characterless for me. I knew from checking the number of expat forum users that foreigners congregated in those areas. And the higher cost of rent in those towns also suggested foreigner prices too. I was looking for a quieter, more traditional village, and a bit of forum detective work helped me narrow it down. Also, keep in mind that everything you’ll read on those expat forums is someone’s opinion. Try to get a sense of that user’s character by reading other things they’ve written. Do you feel like you might have common interests? Are they a total pessimist unhappy about everything, or is their outlook closer to yours? Does this sound like someone you might want to have a drink with? These can all be indications of whether or not you might agree with their point of view. The next step is to actually view some properties in your chosen regions. When searching for online real estate listings, it helps to exclude terms like “short let”, “vacation” or “holiday” from your google request. You’re after long lets, not high priced holiday stays. Try searching in the local language too. That’s where landlords will advertise when they’re targeting residents rather than visitors. One important thing to know about renting in Malta is that all the big agencies have glossy websites because they’re targeting foreigners—with foreigner prices. People in Malta don’t use the internet as a resource nearly as much as we do in the West. It’s still very much a phone and meet in person society. I quickly learned that almost none of the listed properties on their sites were actually available. They were all using the online listings as bait to get my contact information. When I emailed agencies to ask about specific properties, they always wrote back and said, “That’s currently rented, but tell me what you’re looking for and give me your phone number.” I’ve spoken to all the main agencies in Malta, and they all work that way. So use online agency listings to get a sense of the available property types and ballpark prices. But try to figure out where private landlords advertise and where local people search. The Sunday edition of the Times of Malta has a big classified section that’s widely used by people here on the island. And the Malta Park website—a local version of Craigslist—is a clearing house for all sorts of used goods. Some of the property ads are placed by agents, but a good percentage are from private landlords, and the prices are more realistic. I’d never been to Malta before I decided to move, but I spent several months doing research like this. When I finally emailed my preferences to 3 local agents, two of them replied. We arranged for 3 days of property viewings. And then I flew over, looked at houses and apartments, signed a contract, and went back to Canada to get my cat. In hindsight, I could have saved myself a trip by just flying straight over and renting a short stay apartment for the first month while I searched for something permanent. And speaking of flying over, what in the heck should you do with all your stuff? My biggest advice when it comes to shipping is to get rid of pretty much everything before you move. By the time your container arrives at your new destination, you’ll have lived without this stuff for at least 2 months. And you’ll find yourself wondering why you bothered sending most of it. So weed out your belongings mercilessly, and donate what you can to the Goodwill. Trust me, you won’t miss it. Unless you’re going to the central Sahara, you can buy things like toiletries, clothing, furniture and household items in your new city or town. And you can get stuff like books and streaming movies online. Once you’ve got your belongings down to a reasonable pile, call a mover who deals with international relocations. They’ll help you estimate the weight and size of your shipment, give you an estimate of cost, and set a date for pickup. Their crew will typically take care of everything. They’ll pack your things securely, in record time. And they’ll look after all the customs paperwork too. All you have to do is fly off to your new destination and wait. When your shipment arrives, the company’s local partner or agent will contact you and drop by to get your signature on the import papers. 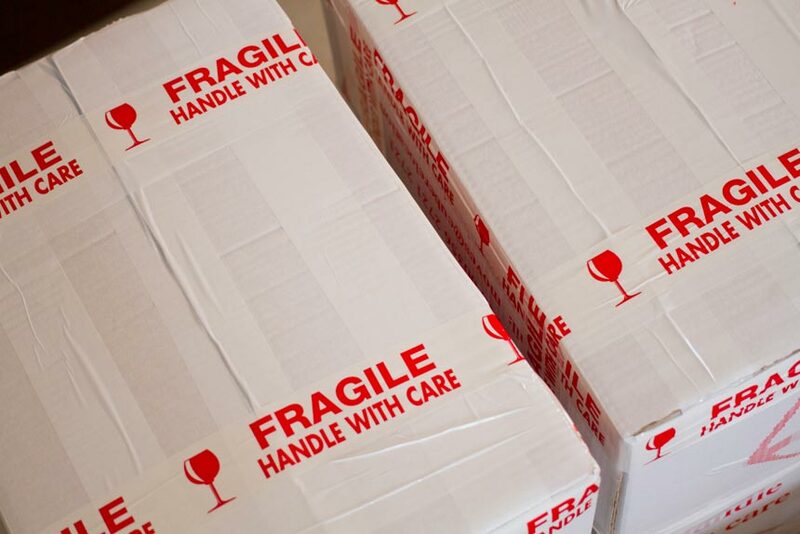 Then when your belongings clear customs, they’ll deliver it to your new home—and they’ll even unpack if you want them to. In addition to signing a bunch of paperwork, I also had to pay a deposit of a few hundred euros to the Maltese customs people. This was refundable after 1 year. It’s just a formality to prevent me from importing a pile of stuff and then selling it locally. So that’s shipping taken care of—and very easily too. But what about the dreaded government paperwork? We’re going to talk about registering for residency in my next article, so I won’t go into it here. The only other big thing I had to do in terms of bureaucracy was register for a tax number with Malta Inland Revenue. Not surprisingly, this was the easiest piece of paper to get. We didn’t even have to wait in line. When it comes to handing over your money, the government is always ready to take it. I also hired an accountant when the first tax season rolled around, to make sure I was doing everything correctly. But the process is incredibly simple here, especially since I don’t work in the country. I’m able to do my tax returns in 20-30 minutes each year, and I do everything myself. And that, my friends, is about all there was to it. The physical process of relocating abroad is much easier than you think. So don’t let it stop you from setting off on your own adventure! Have you relocated abroad? Was your experience as easy as mine, or did you run into challenges? Please share your story with me in the comments. We’ll all benefit from your experiences. And stay tuned for the next instalment, where we’ll talk about that other missing piece—registering for residency. Cultural Identity: Should I Change to Fit In?